Interested in managing or coaching? Complete these TWO quick steps to apply! Go to our registration page and complete both the volunteer application and the manager/coach application. Canyon Creek Little League managers and coaches must be leaders. All must recognize that they represent the League and hold a position of leadership, trust, and responsibility and are role models for youth on and off the playing field. Managers and coaches must understand that their actions and behaviors influence, shape, and often dictate how the young people they are leading behave on and off the field. The manager and coach should be able to inspire respect. It is required that managers and coaches have understanding, patience, and the capacity to work with children, parents, and league officials. Lastly, managers and coaches must be more than just teachers. To be clear, knowledge and understanding of the game is important, but those attributes alone do not make good managers and coaches. Good managers and coaches must have a range of admirable traits and abilities to utilize as they help shape the physical, mental, and emotional development of young people. 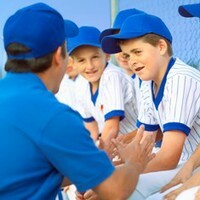 Having qualified team managers and coaches are key to the smooth operation of teams in Canyon Creek Little League. Often, the League receives questions about the differences in the roles and responsibilities for managers and coaches. This section summarizes several of the key differences between managers and coaches in our League. Refrain from the use of insulting, embarrassing, foul, or abusive language. Be a good role model. 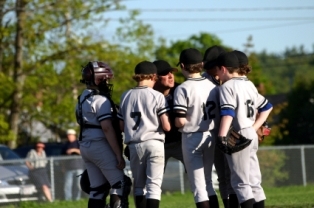 Canyon Creek Little League follows the rules and guidelines as established in the Little League Operating Manual in the selection of managers and coaches. The League also has processes in place for naming replacement managers and coaches during the regular season and tournament play as well. IMPORTANT NOTE: The assessment of our coaches continues throughout their participation in our program and is revocable in the event the Board determines there has been misconduct of any kind. Furthermore, having been a manager/coach does not qualify one to manage/coach additional seasons. This section contains useful tips and other information for Canyon Creek managers and coaches. Canyon Creek Manager\Coach Code of Conduct Policy Code of conduct and expectations for all managers and coaches. Managers and coaches are expected to read and comply with Canyon Creek's code of conduct policies. There are no exceptions. The health and safety of players, parents, and everyone associated with Canyon Creek is a top priority. Managers and coaches will find important safety information, including the Canyon Creek Safety Manual, in this section of the website. The Little League Resource Center provides managers and coaches the tools they need to be effective leaders of children, to run efficient and productive practices, and to teach children the baseball or softball skills they need to be able to excel. Little League Baseball and Canyon Creek Little League are committed to providing our Managers and Coaches with the training and skills necessary for a successful season. In this section, they will find a variety of training resources including coaching philosophy, drills and game strategy. Canyon Creek Little League does an extraordinary job of providing field resources. Canyon Creek Managers wishing to obtain fields for extra practice will be able to reserve available space on a first come first serve basis.